← PopSugar & Neiman Marcus Box News! Brand names and price tag revealed! If you have a sweet tooth, look no further! 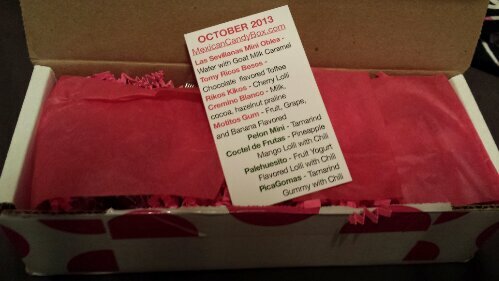 Mexican Candy Box is a monthly candy subscription box that ships sweet and/or spicy candies right to your door. Based on authentic mexican flavors and styles that you would find below the border, these candies are very different than what you might normally purchase. But with that said, they’re delicious! And unique! Each month the Candy Curators select a secret assortment of sweet and spicy hot candies for you to enjoy. There are three flavor boxes to choose from: Sweet & Spicy Box, Spicy Box, and Sweet Box, as well as three sizes: Solo (individual) for $12, Amigo (friend) for $15, and Familia (family) for $20. 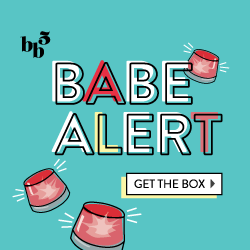 Plus you can sign up for a 1-time box as a gift or trial, or a reoccurring subscription. And this month, I got a mixture of Sweet and Spicy candies! Let’s just say I definitely needed that little information card to match them all up… especially as some are spicy! These Rikos Kikos Cherry Lolli fits in with the Sweet category, as a simple, cute cherry lollipop! 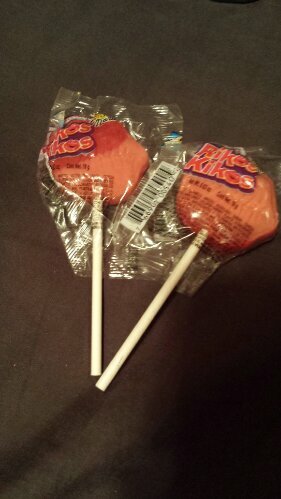 I really like that they’re semi kiss-shaped as it’s unique from other lollipops. 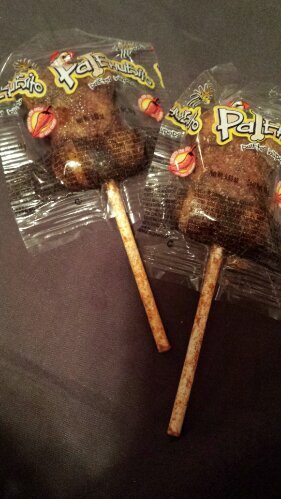 These Palehuesito Fruit Yogurt Flavored Lolli’s with Chili flavor fall into the Spicy category, I’ll be honest.. I was a little freaked out by these at first. They’re shaped like a dog bone, look as though they are dipped in straight chili powder and the stick is also coated/looks dirty at first sight. However… they’re not bad! Definitely not for simpletons, but for those who really want a kick of spice. Coctel de Frutas are semi-spicy Pineapple Mango Lolli with Chili were awesome because they had a bit of sweetness with the pineapple mango, as well as a kick of chili! 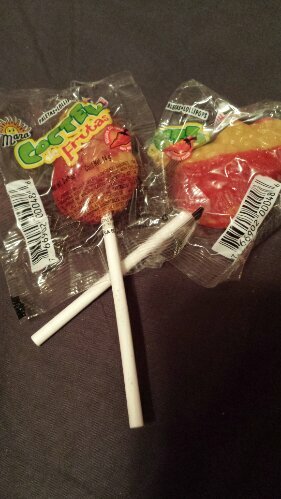 I would put these as the ‘in-between’ of the other two lollipops and could see myself purchasing them again. 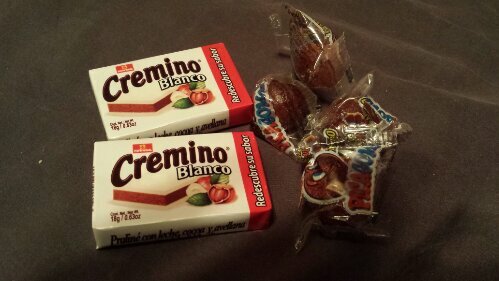 Cremino Blanco is a nice, simple candy made with Milk Chocolate, Cocoa, and Hazelnuts! This sweet option is perfect if you’re in the mood for milky chocolate and has similar flavors to various hazelnut chocolate candies and products. PicaGomas happen to be an interesting item… These Tamarind Gummy with Chili flavor are definitely unusual. I’ve only had tamarind in curries and various foreign foods, so to find a sweet flavored with it was a curveball. Apparently it’s really popular in Mexico, and now I understand why. While I wouldn’t go out of my way to buy these, they were definitely fun to test out. 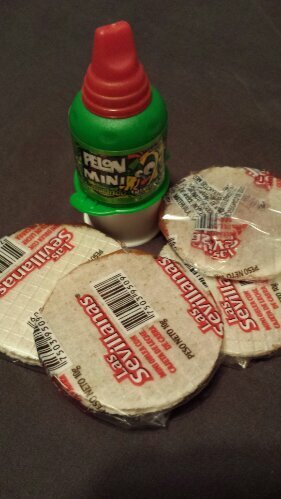 Pelon Mini is also Tamarind-flavored with light chili kick to it. You squeeze the product by pushing the white part up, and a jelly-like candy comes out through a grated top. It reminds me of playdoh when I was younger and would put the playdough into a contraption, press down and it would come out as ‘hair’ or ‘spaghetti’. This again is not my favorite due to taste/texture but very clever. These Las Sevillanas Mini Oblea are wafers with goat milk caramel… can you say heavenly!? I love goat cheese (and so I thought I’d like goat milk as well), plus caramel and wafers = a cute and tasty cookie for snacking on! 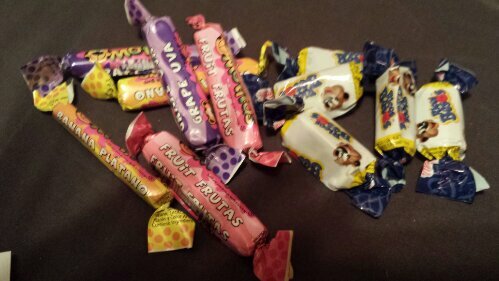 These are the most ‘americanized’ in my opinion as I’ve had many candies similar to these before. The Tomy Ricos Besos are simply Chocolate-Flavored Toffee Chews. They remind me of any caramel/taffy/tootsie roll style candy and they’re really addictive. Motitos Gum came in a few different flavors- Fruit, Grape, and Banana- and are simply a sweet, fruity chewing gum. Nothing too fancy, pretty good flavor. 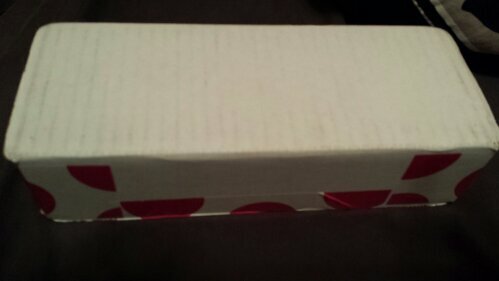 So what do you all think of this box? I think it would be a great gift for someone adventurous and who loves to try new foods! 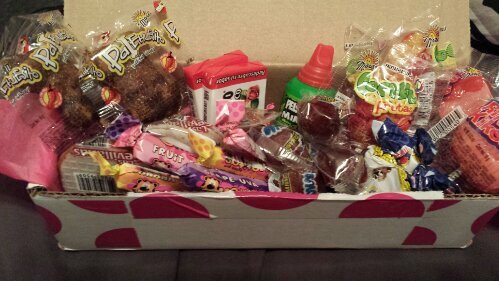 Try out Mexican Candy Box here.